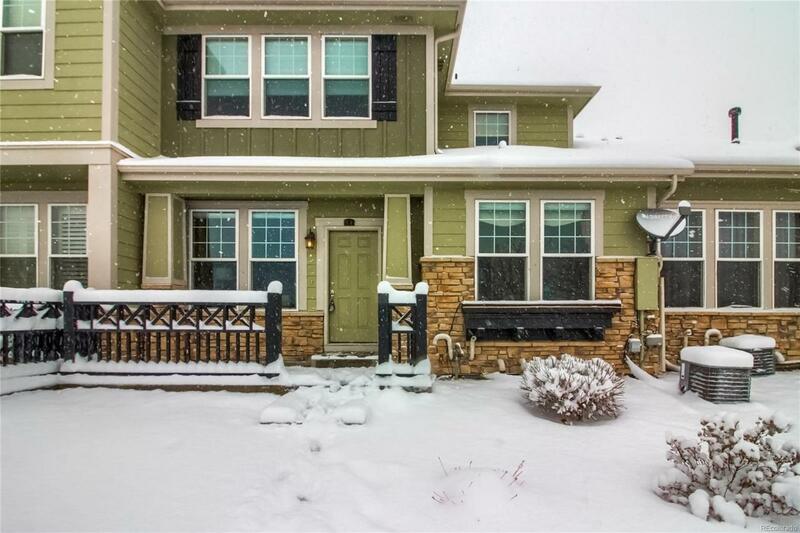 Meticulous Remington town home in the highly sought after Broadlands neighborhood close to the Golf Course & Broomfield Rec Center! This incredible townhome boasts an open floor plan w/a large office with french doors. Remote controlled upgrades window coverings, custom stone fireplace with rustic maple mantle & gleaming hardwoods, cozy dining area and kitchen w/access to rare private patio. Upgraded kitchen with slab granite countertops, S.S. appliances, 42 cabinetry, custom tile backsplash & large kitchen island. Master bedroom is bright w/ en-suite access to master bath with walk-in shower, large soaking tub, & custom backsplash tile work. Attached garage with quick & easy access to the townhome. Unfinished basement offers a flexible space for storage or future entertainment area. Centrally located with access to the swimming pool and golf course, shopping, schools, recreation, and dining. Easy access to I-25, 120th, Orchard Shopping Center, New Outlet Stores & more! Bring offer!